Since the Food and Drug Administration approved Invokana in 2013 for the treatment of Type II diabetes, many patients injured by the drug have filed Invokana lawsuits for compensation. During that time, it became evident that the SGLT2 inhibitor medication was defective and caused severe side effects. The drug manufacturer, Janssen Pharmaceuticals (a subsidiary of Johnson & Johnson) will likely be in court for years settling cases involving its unreasonably dangerous medication. However, plaintiffs only have a limited time to file suit against the drug maker. Rosenfeld Injury Lawyers LLC represents victims who were harmed after taking Invokana and other types of professional negligence. Our law firm has successfully prosecuted cases for our clients who were never properly informed of the dangers of taking defective SGLT2 inhibitor medications. Our attorneys are available to answer any legal questions on how to receive the monetary compensation you deserve if your injuries were a result of someone else's negligence. Should you have additional questions, we invite you to contact our office for a free review of your legal rights. Five years if you have property damage because of a product. See 735 Ill. Comp. Stat. 5/13-202 (2010). In no case can the suit be brought more than 12 years from when it was first sold. 735 ILCS 5/13-213(b) (2010). In no case can the suit be brought more than 10 years from when it was given to the first owner. 735 ILCS 5/13-213(b) (2010). Diabetes has been a leading cause of death in Americans that is difficult to treat effectively. Within months after Invokana was introduced to the medical marketplace, many patients prescribed the drug began developing diabetic ketoacidosis (DKA). This serious, life-threatening condition occurs when the pancreas can no longer generate sufficient amounts of insulin, needed to allow glucose (sugar) to permeate cells and provide the body energy. Without sufficient insulin, the body builds up a dangerous level of toxic ketones that accumulate in the patient's bloodstream causing blood asset (key tone) chemicals to break down stores of fat as a source of energy. Excessive levels of ketones can make the body too acidic leading to ketoacidosis. This might result in the patient being hospitalized, falling into a diabetic coma, or dying. Other symptoms associated with DKA include abdominal pain, vomiting, nausea, cognitive challenges, confusion, fatigue, and respiratory difficulties. Is There an FDA Invokana Recall? No. However, recently, the FDA (Food and Drug Administration) issued a safety communication announcement warning patients and doctors of a known link between taking Invokana and ketoacidosis, kidney issues, and risk of amputation. The Institute of Safe Medication Practices (ISMP) has claimed since the SGLT2 inhibitor medication entered the medical marketplace, patients were reporting “serious adverse events” after taking the drug. The pharmaceutical industry watchdog has also claimed that the medication is more dangerous than over 90% of the other drugs the organization monitors. Doctors prescribe SGLT2 inhibitor drugs like Invokana (canagliflozin) to patients who have type II diabetes. Unfortunately, many of these individuals experienced severe complications including kidney failure and amputations. Some of these injured victims have filed Invokana lawsuits against the pharmaceutical manufacturer based on the drug maker's negligence. These individuals are joining hundreds of other plaintiffs across the United States looking to recover their compensatory damages in multidistrict litigation (MDL) courthouse. Every plaintiff involved in a negligent case has the burden to prove their claim by showing exactly how the defendant's negligence caused their injuries. The lawyer must show that there is a “preponderance of evidence” that the actions of the defendant (drug maker) were negligent. Some of the evidence at trial will include the plaintiff's medical records, testimony provided by expert medical professionals, and the marketing/promoting materials the defendant used that did not warn the patient that their drug has serious complications. The drug maker designed, manufactured, marketed, promoted, and sold a defective and dangerous medication. The pharmaceutical manufacturer failed to provide proof that the medication for treating diabetes was a better drug than others. The drug company failed to test the medication properly including performing comprehensive clinical trials over an extended time. The drug maker failed to warn patients and doctors of the known, heightened risks of taking the drug that can cause ketoacidosis, kidney failure, heart attack, or amputations. The pharmaceutical company hid the evidence that the medication is dangerous and still marketed the product as safe. Join a Class Action Suit or File Independently? Class action lawsuits typically restrict the amount of compensation a plaintiff can receive when a jury awards compensation. Typically, cases like Invokana lawsuits involve multidistrict litigation where dozens, hundreds, or thousands of cases are consolidated by a federal judge when each claim has similar evidence. Soon after consolidation, the judge will order three or more bellwether cases to be heard individually in different courts within a specific time frame. The jury verdicts will help the attorneys, working for both the defendant and plaintiffs, learn what to expect in the lawsuit outcomes in future trials. Every bad drug case in a multidistrict litigation court is resolved individually based on the unique circumstances of the plaintiff's injuries and the evidence in their lawsuit. 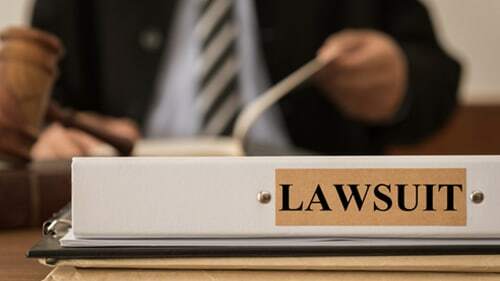 However, all lawsuits associated with multidistrict litigation will conduct their pretrial hearings, motions, and settlement conferences as one. If the individual cases cannot reach a negotiated settlement out of court, each lawsuit returns to its original venue to be tried individually in a local courtroom. Alternatively, some individuals choose to file a lawsuit individually and not join MDL litigation. Currently, MDL Invokana lawsuits are being heard in a New Jersey federal courtroom (MDL Case #2750). Recently, the judge scheduled the first Invokana bellwether cases to be heard in September 2018. In the meantime, the judge scheduled case management conferences to occur monthly between December 2017 and December 2018. The loss of future earning capacity if you are unable to return the work due to Invokana complications. Non-tangible damages including pain, suffering, mental anguish, emotional distress, and diminished enjoyment of life. Nearly every bad drug case is settled out of court before it ever reaches trial. Often, a settlement meeting is scheduled during the discovery phase of the case or mandated by the judge before the trial begins. Typically, taking the case to trial could take years to resolve, while settling the case could take only a few months or longer and can happen at any point in the case, including when taking depositions, during litigation, and just before a jury hands down the verdict at trial. If the defendants are unwilling or unable to provide adequate compensation to the plaintiff during pretrial hearings, the judge will order the case to go to trial. During this time, both the legal teams will participate in jury selection and give opening statements before the plaintiffs and defendants present their cases. The trial will conclude with closing arguments before the case is handed over to the jury. Settling a case before it enters the trial phase can be beneficial for both the defendant and the plaintiff. The defendant might benefit by settling to avoid the unpredictable outcome of an exorbitant jury verdict. The plaintiff might benefit from settling because knowing they will receive adequate financial compensation to cover all of their economic and non-economic damages could provide peace of mind. The bad drug injury attorneys at Rosenfeld Injury Lawyers LLC understand that the harm you suffered after taking the Invokana was not your fault. We have successfully obtained millions on behalf of the victims and their family members to ensure they were adequately compensated to cover their medical expenses, household bills, lost wages, loss of future earnings, pain, suffering, and emotional damage. We can help your family too. Our team is ready to fight on your behalf and take on the pharmaceutical giant that caused your injuries.